Phew! It’s proving to be a very hot summer indeed and as we enter July, some of our customers can look forward to a long and well deserved break as the anticipated summer holidays approach. 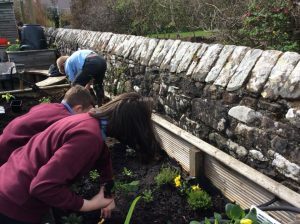 Although the last day of term is just around the corner, our schools certainly aren’t slowing down and there’s been lots of bustling activity to report. 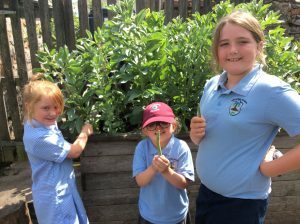 “The after school club have planted herbs, vegetables, strawberries and filled all our planters with lovely flowers in the playground. 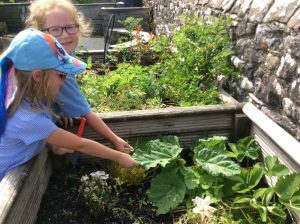 We have had a bumper crop of strawberries which the children have eaten as fast as they have ripened. As well as smelling lovely, plants can also feel very nice too! 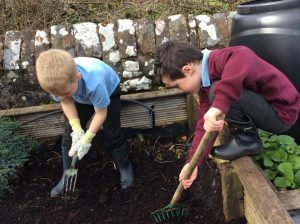 If you want to read more about our wheelbarrow competition and our winning schools’ reactions to receiving their prizes, read our previous blog post. 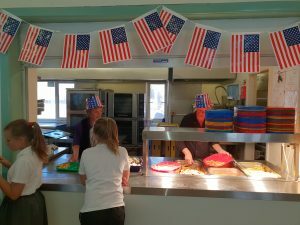 Another of our Lunch Shop schools, Greengate Juniors in Barrow-in-Furness, recently held a special lunch in celebration of American Independence Day on July 4th. 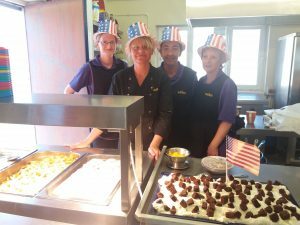 Of course, we love a theme day and so gladly provided flags, bunting and some very stylish headwear for our lunch servers to make the event extra special. The delicious items on the menu included classic American cheeseburgers, Florida salad, Boston beans and Southern fried chicken. Lovely chocolate brownies were also an option for dessert…delicious. 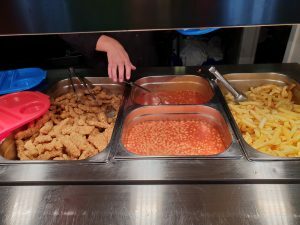 It’s great to see our schools embracing such events and keeping pupils excited and curious about the huge range of foods available to try from around the world. Look out for our Chinese New Year themed lunch in February 2019 – it’s certainly one to rival Greengate’s excellent American options.